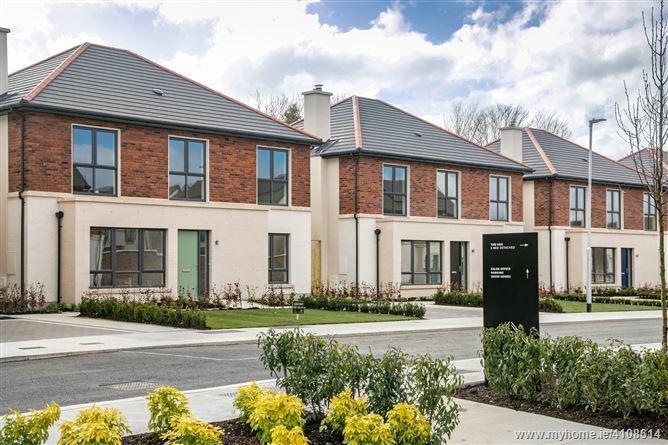 •	The Elder, our 5 bed spacious show house which is sized at a generous 2153 Sqft is now available for €595,000 to include all contents. With cleverly planned and well-proportioned sites, the development will take full advantage of its outstanding location. This exclusive development has been designed with an abundance of green spaces to complement the surrounds of the planned Tandy’s Lane Park. Rich in natural beauty and steeped in history, Lucan is a fascinating place to explore, with a wide variety of shops, cafes, restaurants, bars and spectacular parks on your doorstep. Local sports clubs include golf at the Hermitage and Lucan golf clubs. Somerton is 3.5 miles from Liffey Valley and less than 10 miles from Dublin city centre and is well placed to take advantage of excellent local schools and amenities nearby. The development is easily accessible by the N4/M50, Dublin Bus etc. The Help to Buy Incentive will be an option for first-time buyers, please ensure that you have your application completed and the relevant details available in advance. Savills New Homes invites you to register your interest at www.Somerton.ie Please note, in order to reserve a property at the launch, you will need a €10,000 booking deposit payable to McCann Fitzgerald Solicitors, proof of funds and solicitor's details.